2017 has been a record year for growth at Balanced Growth Consulting. To meet the growing demand for our services, we have expanded our team over the past two years. We’d like to take this opportunity to introduce one of those newer faces – John Forbes. John has twice been a client of Balanced Growth and has served Balanced Growth in a number of capacities since 2016. He has been instrumental in listening to the voice of our customers, articulating the Balanced Growth brand, establishing relationships with innovation leaders throughout the Midwest, and getting to know our clients and capabilities in the Insurance, Financial Services, and Healthcare sectors. We are honored to announce that John has agreed to expand his role with Balanced Growth and become a Principal. As Principal, John will serve in an executive capacity and focus on business development and client service. 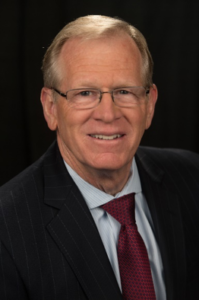 Prior to joining the Balanced Growth team, John served as the Executive Director of the American Academy of Periodontology, the Chief Operating Officer of the American Academy of Pediatrics, and the Chief Executive Officer of the American Red Cross’ Missouri-Illinois Blood Services Region. In each of these roles, he successfully turned around previously challenged organizations and implemented strategies that helped them achieve breakthrough performance. His leadership journey includes serving on the faculty of the Pediatric Leadership Alliance, a unit of the American Academy of Pediatrics whose aim was to provide leadership development training to pediatric professionals worldwide. Additionally, he successfully completed the Leadership Development Program of the John F. Kennedy School of Government at Harvard University. John has his undergraduate degree from Miami University, Oxford, Ohio and his graduate degree in business from Loyola University in Chicago, Illinois. Founded in 2006 by Jason Bordui, Balanced Growth is a Chicago-based, innovation consultancy. Our mission is to create enduring value for our clients and their customers through strategic innovation and operational transformation. We focus on collaborating with clients in the Insurance, Financial Services, and Healthcare sectors to design, implement, and accelerate their Operational, Technology, and Innovation initiatives. This entry was posted in News on January 29, 2018 by Amy.